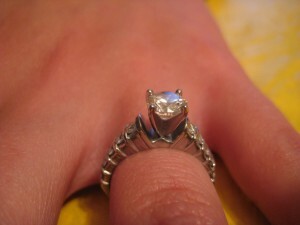 When it comes to sparkly stones for jewelry items, some gems make more believable engagement ring designs than others. One that I never hear too much about amongst family and friends that have a big ring collection are Swarovski crystals. Many people think that this man-made stone is only appropriate for embellishing ballet costumes, tiaras and beauty pageant gowns. I say that anything this gorgeous would make a wonderfully unique choice as a wedding ring set or an engagement ring. 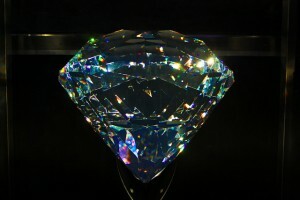 Just look at the heart-melting shimmer of this crystal as displayed in The Swarovski Museum; stunning. I have a small solitaire ring made with this crystal that I purchased on eBay last year. Although it cost less than $10 dollars, people always notice it and give me compliments. The setting quality is questionable, but the little crystal really shines; especially under restaurant lighting in the evenings. 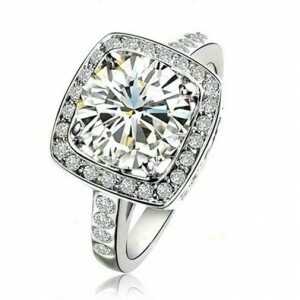 What makes a ring breathtakingly beautiful is the design and layout of the stones. What makes it last and protect the stones are the setting materials. Real gold or silver always makes a fake look less so. I find that having a real gold band and setting is insurance just in case the stones need to be replaced. You have a solid item that jewelers can work with and you don’t end up with green Leprechaun fingers. Are There Any Downsides To A Crystal Ring Design? 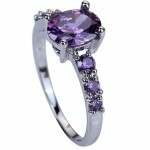 Genuine Swarovski crystal rings that are suitable to wear as an engagement ring are really hard to find. Besides the official Swarovski company, there are only a smidgen of online jewelers that offer a few styles in this category. 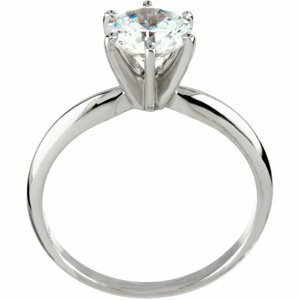 Your taste has to be avante garde because these designs are very far from the traditional concept of an engagement ring style. Crystals are high-maintenance. They don’t have the hardness to handle daily roughhousing and can become scratched and cloudy in no time at all. If you are looking for a lifetime ring that you never want to take off, a crystal wont be able to handle it without losing its sparkle. Affordable, cheap, inexpensive. This is very true when it comes to the Austrian crystal engagement rings for sale on Amazon. You can find a pretty ring for less than $10 dollars. 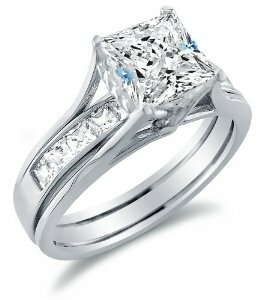 A crystal engagement ring is perfect as a starter ring for young couples on a super-tight budget who plan to upgrade to a more durable design in the future. They make great little conversation starters. 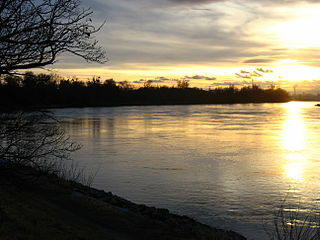 People will ask you what it is because it has its own unique way of refracting light. Swarovski Versus Austrian Crystals-What’s The Difference? 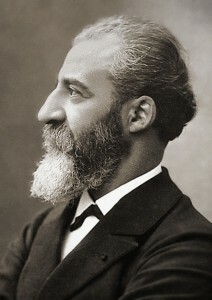 Both crystal types originate from Austria. 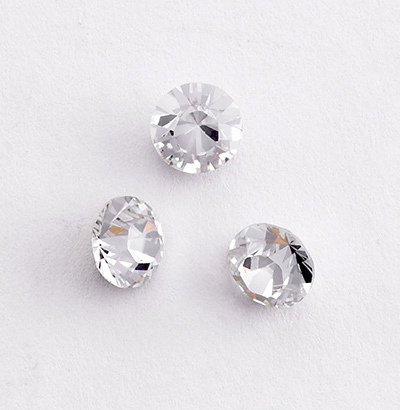 Swarovski is simply a brand name for a company that has developed a top-notch cutting method for making Austrian crystals produce maximum brilliance. You can either go for the brand name, or find a much larger selection of standard Austrian crystal jewelry companies online. The more you research ring styles and materials, the more you realize how many options are out there. Crystals make pretty rings for many occasions, not only marriage. 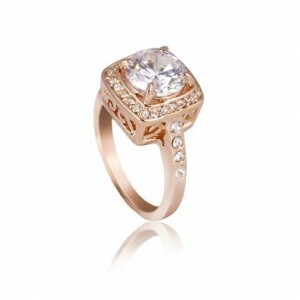 Rose gold or rose gold plating is another setting option to consider. I always considered Rose Gold a rare choice and not that mainstream popular. I was wrong. I was surprised to see that one of the most popular Austrian crystal rings on Amazon is this bold and dramatic Spark Ring. With over 100 reviews and a fantastic low price, it looks like a wonderful item for people who like that shade of gold. I am going to give you my honest opinion. 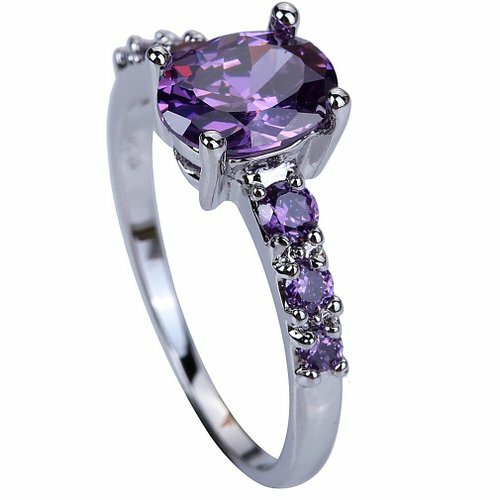 I think that crystal rings are perfect as fashion costume jewelry, friendship rings, gifts for special people in your life and as a temporary option for those who are getting married and need to save as much money as possible. 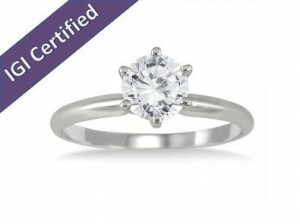 As a long-term investment, they wouldn’t last as long as a Cubic Zirconia, Moissanite or diamond. However, the word investment might not make sense for these budget-friendly rings. Because they are so affordable and fun to wear, crystals should be in every woman’s jewelry collection. I love my little crystal ring.